Basically, in a nut shell, I was made aware last week that someone needs help. She is a mom to 7 and is fighting hard for her life. She has cancer and things aren't good. Her family is suffering and there are many needs both financially and physically. I wanted to help but didn't quite know how. So, the best thing I could think of was to put my crafty skills to work. I decided to donate all of the money from my Etsy shop for one week. I'm covering the supply cost so that 100% of your purchase, minus the shipping cost, will go directly to this family. The response has been phenomenal! THANK YOU! Just as a reminder though, tomorrow is the last day to help out. So, if you've been thinking of shopping, please do. My items make great gifts (at least I think so). And, with the holidays coming up, you basically get a two-fer, you get to get your shopping done plus you help someone out! Speaking of gifts, I've had a question or two about product packaging and if my items come packaged ready for gift giving. I'm NOT one to just throw your purchase in a plastic bag and ship it off. 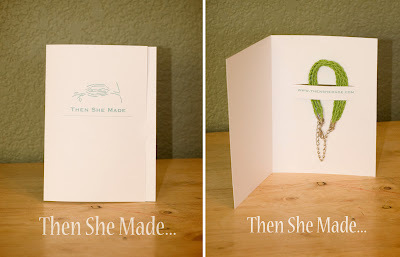 All my items come in either custom made card envelopes or boxed. Here's some visuals. 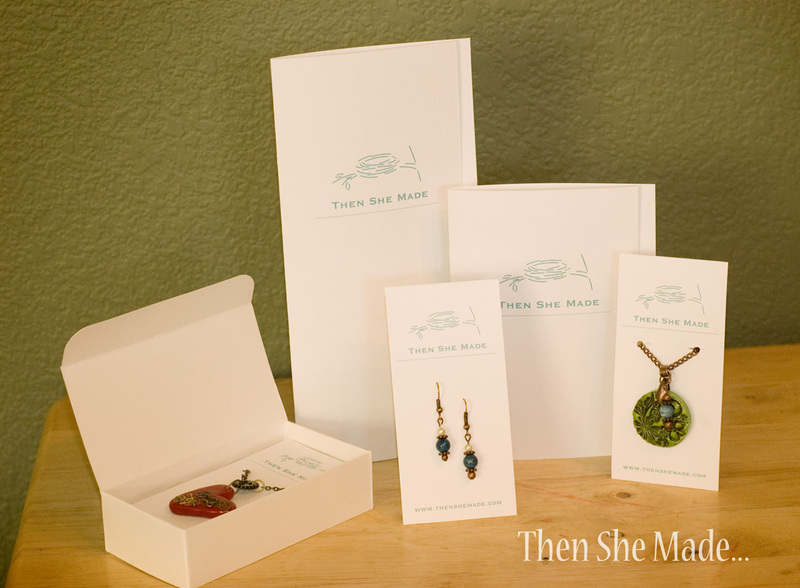 Necklaces and earrings come on a product card and then are placed in a small box. All items are ready for gift giving. A friend of mine had a great idea to use some of my items as stocking stuffers for her teenage daughters - great idea, right?! Head bands for teenage girls = awesomeness! Anyway, hopefully that answers some questions and gives you a clearer picture of how your items will look all packaged up. Again, thank you for all your support. To those of you that have already purchased, I seriously can not thank you enough! Your support means so much to me and will to this family as well. P.S. - I've sold out of some of the items. If you've had your eye on something and it's no longer listed, shoot me an email. I'm happy to do custom orders. such pretty packaging! so simple and classic. Honestly, as much as I enjoy the actual pieces the local melbourne jewellers display, it just isn't complete without the right packaging. It's almost as if the jewelry gets degraded if put in something substandard. Thanks! Now the packaging's the least of my problems. Next thing to prepare is the catering services. The packaging is simply pretty. I hope I can buy jewelry with the same packaging, so I can give it as gifts too. Thank you! My sister bought a braided bracelet, thank you! I was just wondering, you can also use customized pocket folders for bigger items. Nice design, by the way. I love its simplicity, so I kept it in my stuff, and maybe I can reuse it too. Who would thought that a piece of paper would turn out to be a wonderful piece of gift. It just shows that the output is not about the materials, its about the artistic touch of its creator. It would be a perfect set if there's also a match made ring for these. I always fancy jewelry sets with everything needed on it, just lovely and amazing, I must say. Nice gift boxes! They gave me an idea about how I should give my housewarming gift to a friend once she moves into her new apartment next month. Nice one, cute packaging! I would love to shoot you an email soon for the green bracelet, it's pretty!